Gardaí are questioning two men in relation to a suspected plot to murder Gerry 'The Monk' Hutch's nephew Jonathan Hutch. The Irish Independent can reveal that the two convicted criminals in custody are Gerard Byrne (27), of Spencer Dock, and Daniel Delaney (25), of Mariner's Port, Sheriff Street, both in Dublin. The two north inner city men were arrested by armed gardaí in an intelligence-led operation into the ongoing Hutch/Kinahan feud. Jonathan Hutch (38) has been warned on numerous occasions by gardaí that his life is under threat because the Kinahan cartel allegedly blames him for being a getaway driver in the Regency Hotel bloodbath, in which cartel figure David Byrne was murdered. However, Hutch is not a suspect in that case - despite being previously arrested by gardaí investigating the murder. It is understood that Hutch has been hiding out in a property in the Co Wexford village of Kilmuckridge in recent weeks. Sources say the arrested duo are considered career criminals and gardaí are investigating whether they took up a suspected €50,000 bounty on Jonathan Hutch's head. Byrne was previously jailed in relation to a 2009 murder plot linked to a bitter north inner city feud, while Delaney has more than 100 previous convictions, including for robbery, drug dealing, blackmail, extortion and assault. In the early hours of yesterday morning, gardaí from Enniscorthy - backed up by members of the Armed Response Units from the southern and eastern regions - arrested Byrne and Delaney in what they believe was an imminent hit on Jonathan Hutch. Byrne was picked up at 12.45am in a field at Millands, in Gorey, Co Wexford, after being seen exiting a car nearby - and a subsequent search of the vehicle yielded two firearms and ammunition. Delaney was arrested nearby during a follow-up search. 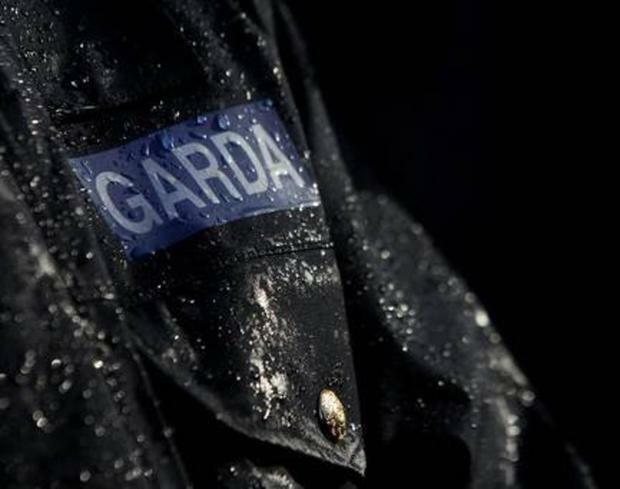 Both men were being held in Gorey and Enniscorthy garda stations last night. Three cars - two VWs and a Nissan - were seized in the operation, as well as a Glock semi-automatic pistol and a revolver. A north inner city criminal with strong ties to the Kinahan cartel is believed to have been behind organising the murder attempt. Jonathan Hutch has been a long-term target for the Kinahan cartel since its bitter feud with the Hutch gang broke out. He previously survived an attack when a gunman working on the orders of the Kinahan cartel targeted him in Majorca. The hitman instead shot dead innocent Dublin City Council worker Trevor O'Neill (41) in a case of mistaken identity. Ken Foy A CLOSE associate of John Gilligan is suspected of ordering an arson attack which could have led to the murders of an innocent woman and her three children. Ralph Riegel GARDAÍ and the Criminal Assets Bureau (CAB) seized vehicles, cash and Rolex watches in a series of raids targetting a feared organised crime gang in Cork. Margaret Davis CCTV images have been released of a one-legged drug dealer who has been a fugitive for more than a year and is now believed to be on the run in Ireland.